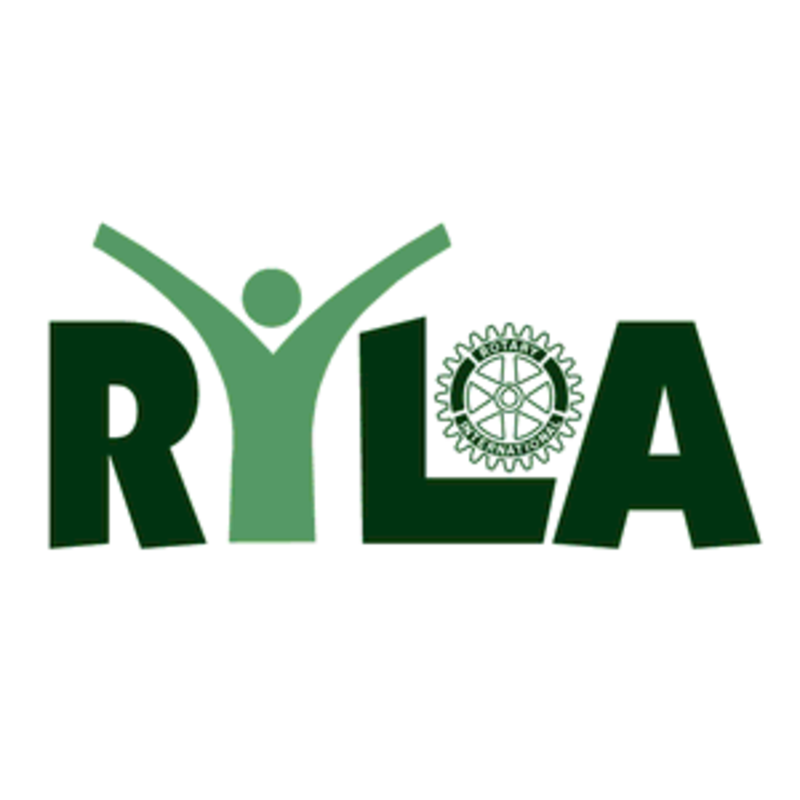 The Missouri RYLA Academy is a 4-day, 3-night training program for high school sophomores and juniors who exhibit a desire for community service. Most local clubs sponsor 2-3 kids from the area at $450 per kid. This program was developed by some of Missouri's top professional educators. The curriculum is designed to recognize and build the qualities of Servant Leadership for each participant, train them on how to successfully implement a service project, and inspire them to live a lifetime of "Service Above Self." In Rotary our motto is “Service above self. He profits most who serves best.” In addition, participants are exposed to all the programs and values Rotary has to offer. Established in 1992, Missouri RYLA Academy has trained and inspired more than 2000 student’s state wide. It is currently a model for RYLA Academies worldwide. This program is our opportunity to recognize some of the exemplary youth in our community. We reach out to the Principals of 13 local Middle Schools and ask them and their staff to select a student from their school to be recognized. Every year Rotary puts on the Rockin’ Ribs event to raise money for 7 local charities. 2019 will make the 20thyear that this event has been hosted. This event has 75 or more BBQ teams that come to compete to be the best tasting BBQ of the event! There is live music and so much fun wrapped into this one event! Sunrise Rotary has partnered with I Pour Life to help make a difference in individuals with economic disadvantages whether it is from fixing up the garden, to helping with a monthly dinner, or just being a friend and lending an ear. 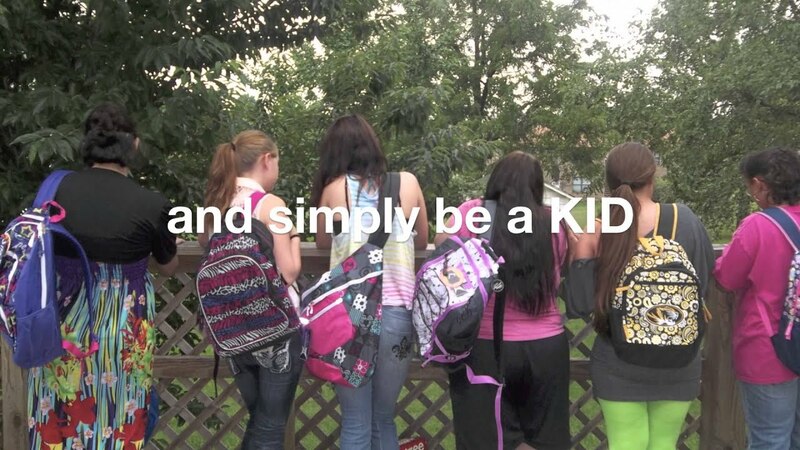 For 2018-2019 year, our Simplified District Grant was approved for $7,500 and will be utilized at Catholic Charities of Southern Missouri (CCSOMO). One of the grant requirements is that Sunrise matches these funds. Through fundraising we now can offer $15,000. An application is submitted explaining what the funds are being used for in detail. The club votes on which organization this money will be spent on each year. -CCSOMO’s mission is to improve the lives of the most vulnerable by providing quality, compassionate social services, which meet local needs. CCSOMO serves the 39 southernmost counties in Missouri; many of them are the most impoverished in the state. What Sunrise Rotary will be contributing is to their disaster kit program and preparedness training materials. The disaster kits allow quick relief in a time of unexpected disaster. Sunrise Rotary will supply inventory and pack 500 kits. -The training classes that are offered allows the community to be proactive and more prepared when a disaster hits. Sunrise Rotary will provide materials for 6 classes that hold up to 40 people per class. We are also going to be teaming up during our volunteer efforts with Interact and Rotaract. Sunrise Rotary helps support The Ozark Charity Shootout. It usually takes place in August. The proceeds of the tournament will be used in partnership with our District Grant to help and fulfill the mission of Catholic Charities of Southern MO. We had 56 Sunrise Rotarians participate and support this tournament in 2018. The Ozarks Charity Shootout is a joint venture with Metro Rotary and the Council of Churches. There were 27 participating teams in 2018 and Sunrise sponsored 14 of those. 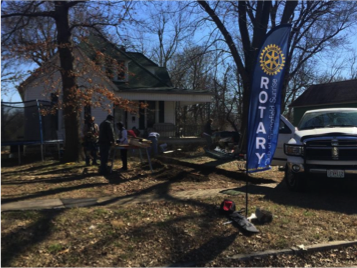 On a late February morning, Sunrise Rotary donated their time and efforts to Habitat for Humanity. 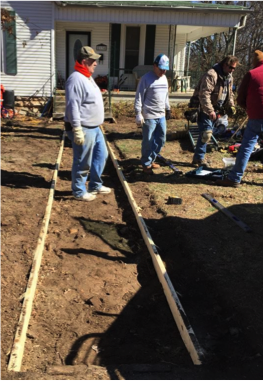 Members of the rotary group met at a house in North Springfield to demo an existing sidewalk and set the frame for concrete to be poured to create a new sidewalk. 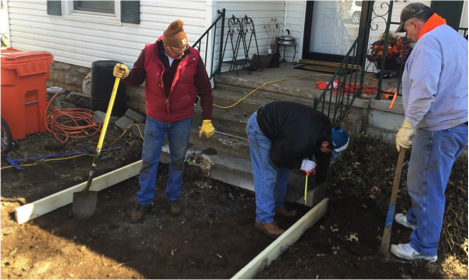 Along with repairing the sidewalk, members of Sunrise Rotary also cleaned and repaired gutters to ensure proper water flow before the upcoming spring. The owner of the home acts as the caretaker of her elderly mother who lives across the street. Her mother visited often and had a hard time getting her wheelchair up and down the original sidewalk due to it being in such bad shape. 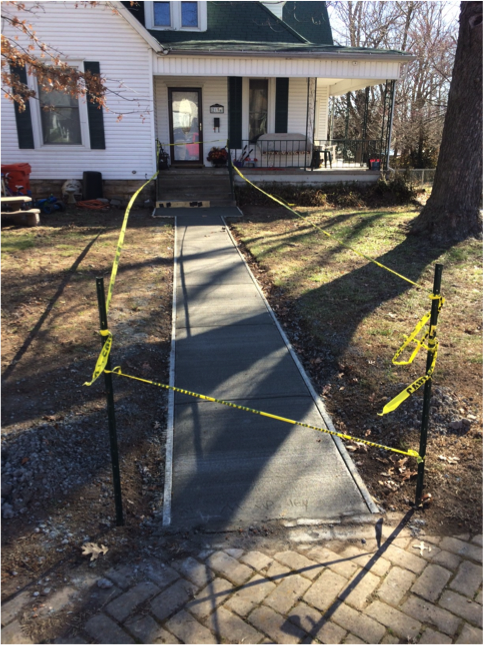 The new sidewalk will allow safer access for the homeowner’s mother and guests. Thanks to the support of Sunrise Rotary of Springfield, Habitat for Humanity could offer much needed improvements to the home. Springfield Sunrise is proud to be part of a global grant supporting medical equipment for the John & Judy Germ Guadalajara Children’s Cancer Center at Hospital Civil in Guadalajara, Mexico. This grant helped to purchase a Chromatography machine that helps treat children’s cancer cases and assists with groundbreaking international research. The Chromatography machine will determine what drug to use at what dosage and for how long. This will have a significant impact on the children’s survival rate as the treatment will be more precise based on their unique and specific needs. Chromatographic platforms are considered to be among the most powerful diagnostic tools, which have enabled metabolic profiling, and, as a result, identified cancer biomarkers, which are essential in the treatment process. Rapid advances in technologies have made it possible to introduce new methods of treatment, based on individual predisposition. With this equipment contributing to the clinical outcomes, an estimated 75% recovery rate is projected (50 more children a year.) There is also a 15% reduction in cost projected as a result of higher treatment efficiency through more specific dosages; less time/drugs expended; avoidance of unnecessary, prolonged treatments; and shorter hospital stays which also positively impacts the patient’s family. Other cancer patients, in addition to the children, will eventually have access to this equipment. This global grant is part of the Heart 2 Heart Program. The Heart 2 Heart Program is a cooperative effort between Rotarians primarily in the "Heart of America" (Zones 30 and 31) and in the "Heart of Mexico" (Districts 4170 and 4140) and The Rotary Foundation to provide humanitarian service, primarily through matching grant projects.